I loved your words...and the pictures too! 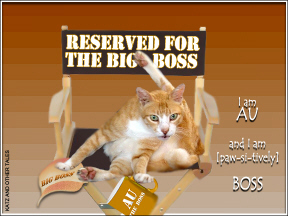 Many purrs to Boss Au fur sure!!! 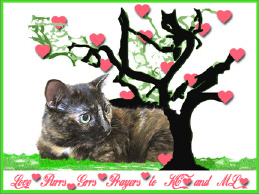 We've been purring for sweet Mickey too. Those were great entries! We thought it was for March 16, though. That's when we have ours scheduled for! We are purring for KC. Those are good words and pictures for Au, Target and Boris. Love the words and pictures - Boris sounds like Posky!! What great words for each of the three cats. I especially like "Boss". We will be putting our up next Wednesday. Your mom chose the cool words to you guys ! Cool ! and Hit ! PS : My scheduled same as Kea. Would like to add another word - Awesome! purrrr....meow! Awesome words and awesome graphics! ha! Mommy loves FLUMP! That's a great word that needs to be used way more often. Those are great words that you have chosen!! We like the words and the cute photos! Boris sure picked the right family to flump into! Love your post, you've captured each kittie's unique personality :) I'm with Boris, wouldn't mind just to eat, sleep and play for a little bit! Oh we loved the pictures and the words! this was so cute! loved the words & the individual tags. But was esp happy to hear Au is back to bending the brain waves for food! YeaHa! lovely shots and such interesting personalities. Those are some great words! I am so glad that Au is still Boss! 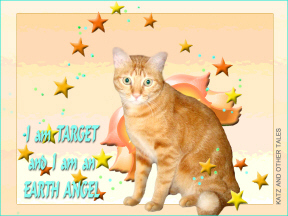 Earth Angel is a good name for Target. 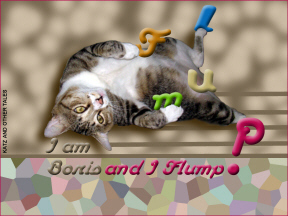 Flump is an excellent, onomatopoeic word for Boris! I'm purring for Miss KC! We love that post - the entry and picyures were as one. We are purring hard for KC. Your words are great! We did not get in on this as our 'puter was at the 'puter vet. Great job - and great words for each. Still sending purrs for Au. Thank you for coming to our birthday commentathon! It was fun. Love your pictures. Hope everything and everyone is doing okay. I'll post my picture on March 16. Sorry we haven't been visiting much lately. Mom has been really lazy about blogging and especially visiting. I love your words and pictures. I am the boss cat around here and Emma already knows it. Those are some great words for you guys! 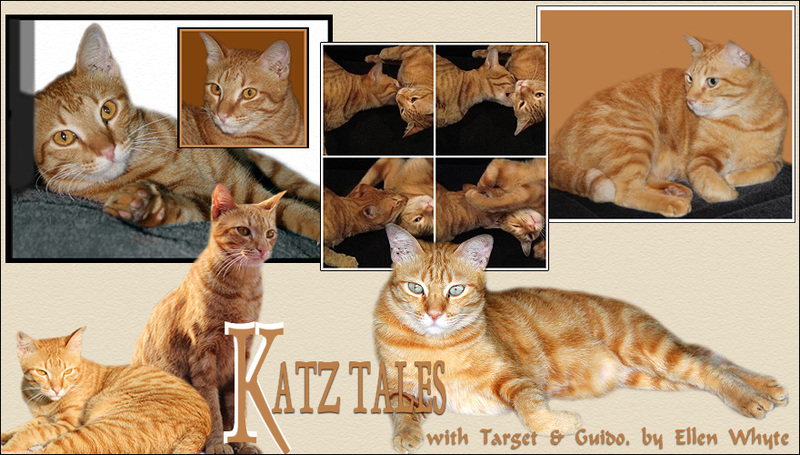 And we are definitely purring for our pal KC. Thank you for your kind words when Maggie had to run off to the Bridge. We are so lucky to have such wonderful friends.